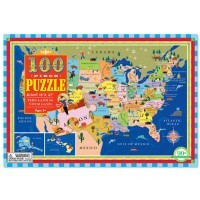 With this 100 pc jigsaw puzzle children can start learning about US states, capitals, animals and geography. 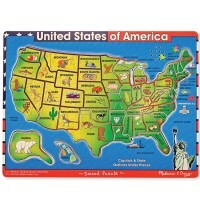 Can you name the US states? 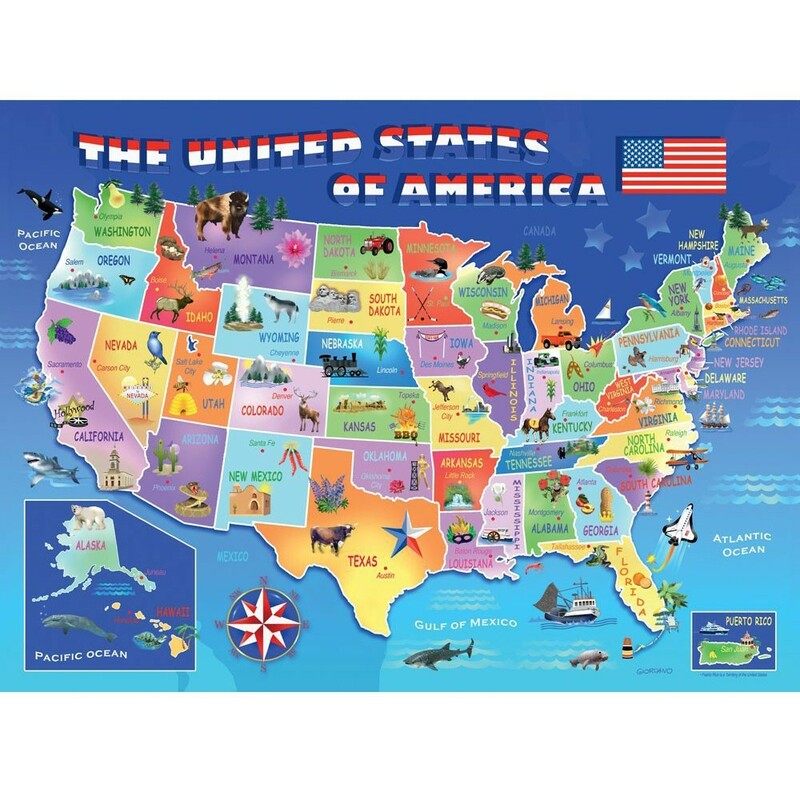 What about all their capitals? 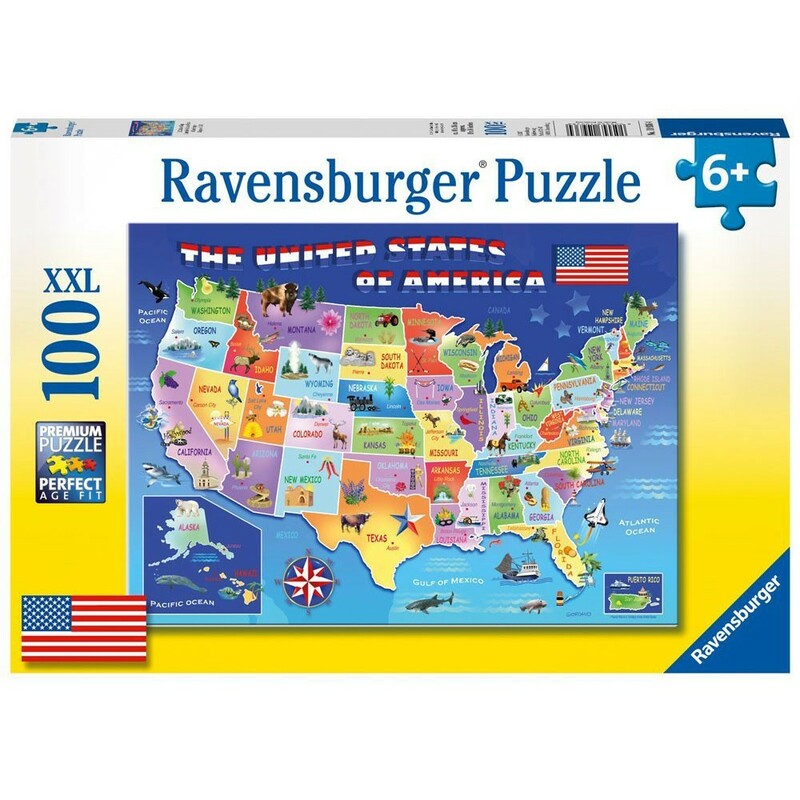 Now you can learn about the USA with one amazing jigsaw from Ravensburger. 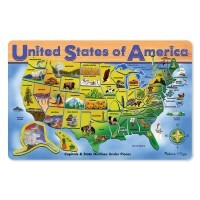 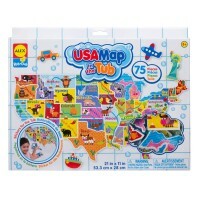 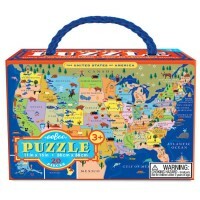 The USA State Map 100 pc Jigsaw Puzzle features kids friendly illustrations and fun details. 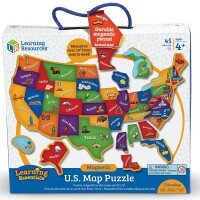 Piece together all 50 states, complete with state names, capitals, landmarks state plants and animals. 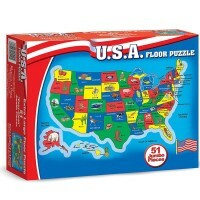 The assembled USA puzzle measures 19.5 x 14.25 inches. This super durable floor puzzle from Ravensburger is sure to become a favorite toy for your young puzzle fan. 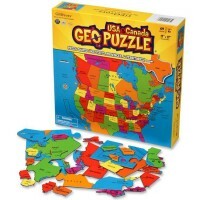 Learn about US geography and learn how to read a map. 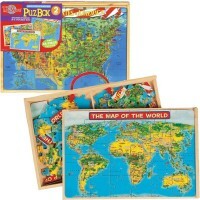 A perfect puzzle for any play area or classroom! 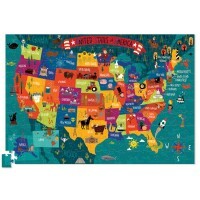 Dimensions of package 9" x 13.25" x 1.5"
Write your own review of USA State Map 100 pc Jigsaw Puzzle.